From October 2013 till December 2014, we implemented the project Establishing cooperation with business stakeholders on promoting gender equality by improving the implementation of the principle non-discrimination. The project responds to the need to make employers understand the assets of promoting non-discrimination and gender equality. This happened through two workshops for people from business sector focused on introducing the benefits of anti-discrimination policies and their implementation into practice. From July 2013 till November 2014, we implemented the project Advocating for elimination of serious violations of women´s human rights and discrimination of women in the fields of employment and reproductive rights in Slovakia. 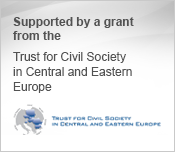 The project was supported by Open Society Foundation (New York), within its program Human Rights Initiative 2013.